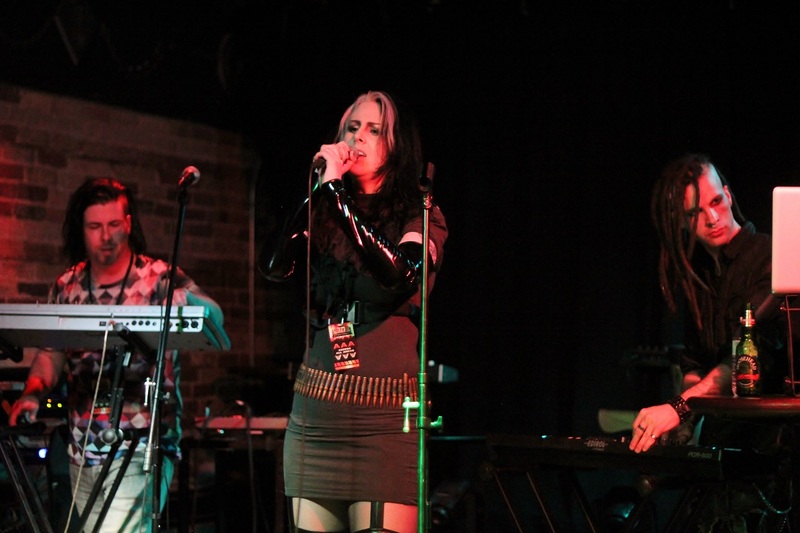 Toronto ON, May 22 – The first night of the Aftermath Festival occurred at the Velvet Underground club, a long-time fixture of Queen Street West in Toronto. The predecessor of Aftermath, the Kinetik Festival, involved a warm-up club night at the beginning of its schedule, so it’s fitting that Aftermath would begin in a similar way. The newest installment of Kinetik was supposed to happen in Toronto for the first time, and I was one of the many who eagerly anticipated the result. When it was cancelled, I was one of the many collecting a refund and wondering what happened. 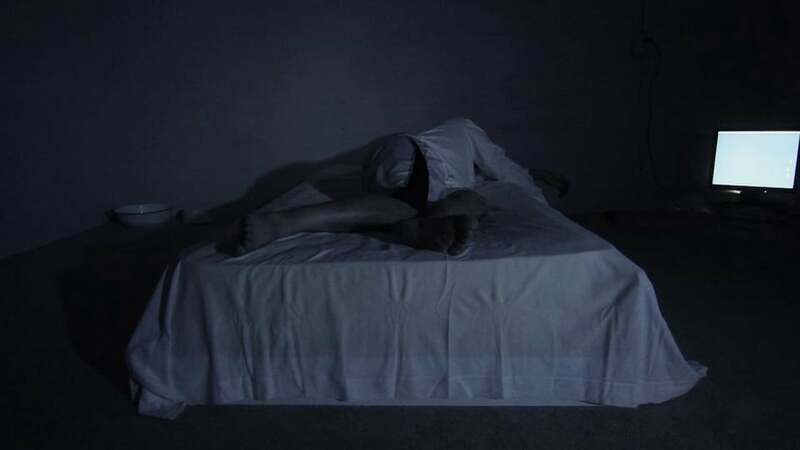 Fortunately, Darker Side of Light promotions and I Die: You Die, in association with 132 Productions and iVardensphere, somehow pulled together a festival’s worth of acts and venues to put them in. 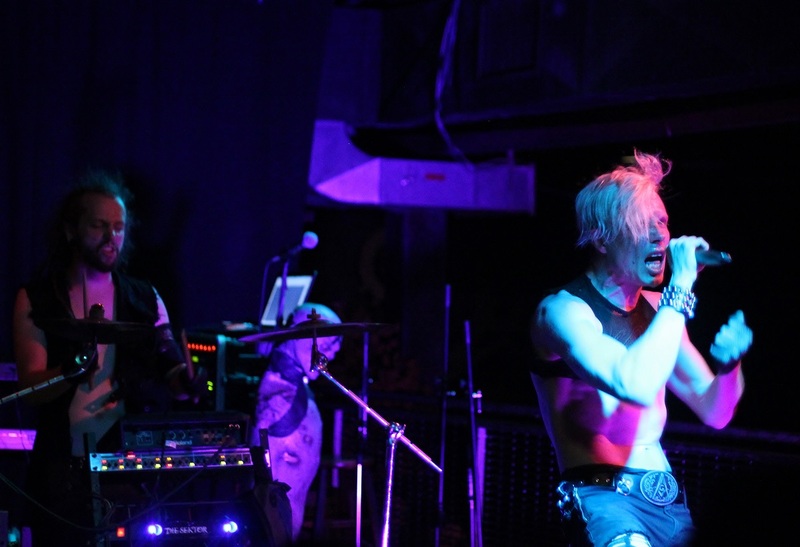 The first night of the festival saw performances from Apriorism, Wychdoktor, Encephalon, Mordacious, Die Sektor, and God Module. 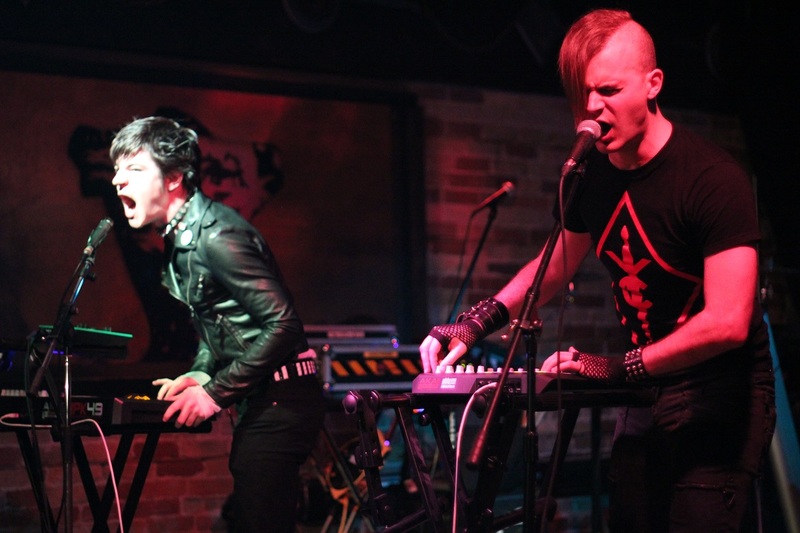 Apriorism hit the stage with electro-industrial, and they had a great crowd show up for them. I’m not used to that many people coming out to Velvet that early, and that wasn’t even going to be the whole crowd. Their co-debut EPs Blood and Smoke are both available on Bandcamp, and also as a two-disc set. 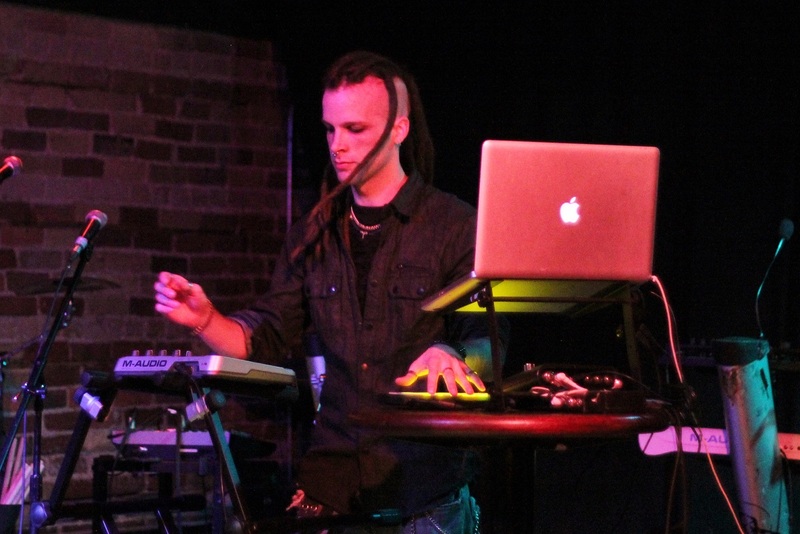 The next act up was dark ambient/tribal noise act Wychdoktor. It was a bit of an energy release compared to the buildup of the previous band, which everyone could groove to. It was also a great segue into the next band, because he also appeared in their lineup this evening. Encephalon recorded a song for Kinetik 7 called “Disintegrator’s Trench” which is available on their Bandcamp. They showed some new material in advance of their new album being completed. They probably saw many familiar faces in the crowd from the large Ottawa contingent that came out for Aftermath, but they are definitely well liked in Toronto as well. After Encephalon played a couple of bands of whom it was difficult to get a clear picture. 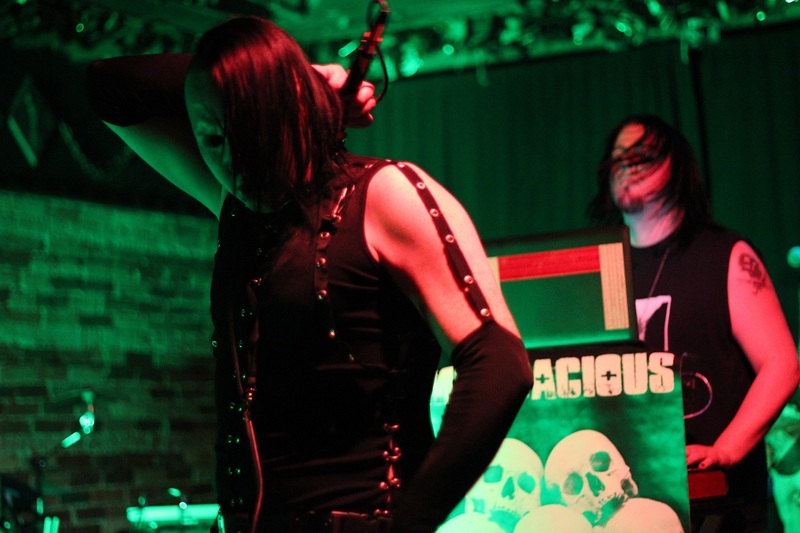 Mordacious was the first. Their most recent release is Bone Breaker from late last year, and it makes sense for them to play on the same night as God Module as they often play shows together. 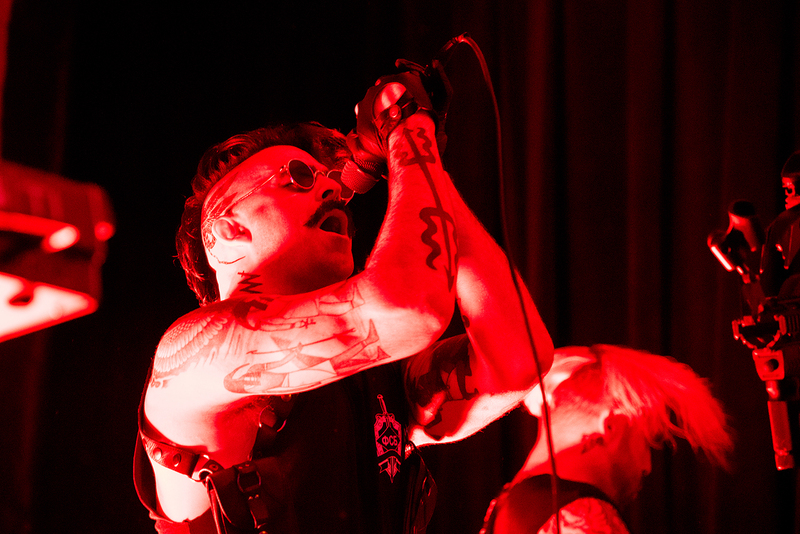 Die Sektor brings a techno industrial sound from Atlanta, and singer Edwin Alter was the most energetic and difficult to capture photographic subject in the entire evening. Their most recent album is (-)existence released last year. 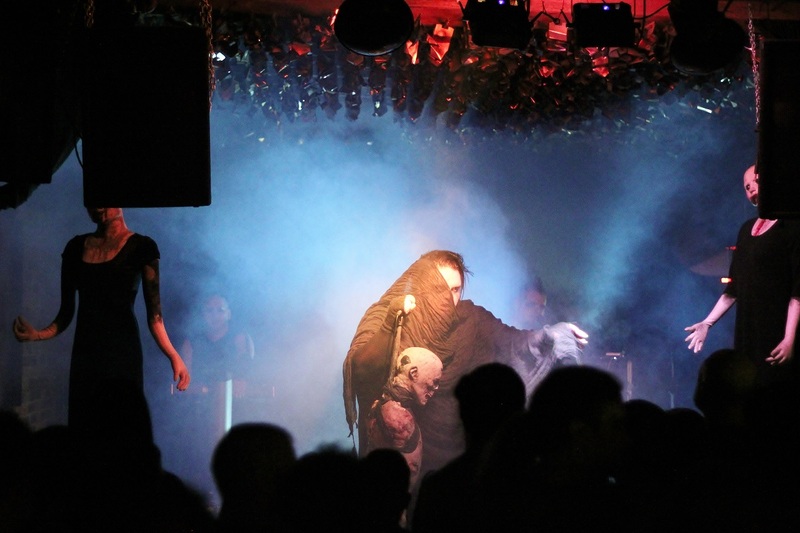 God Module is a horror industrial band that was much talked about among the attendees, having quite the following. 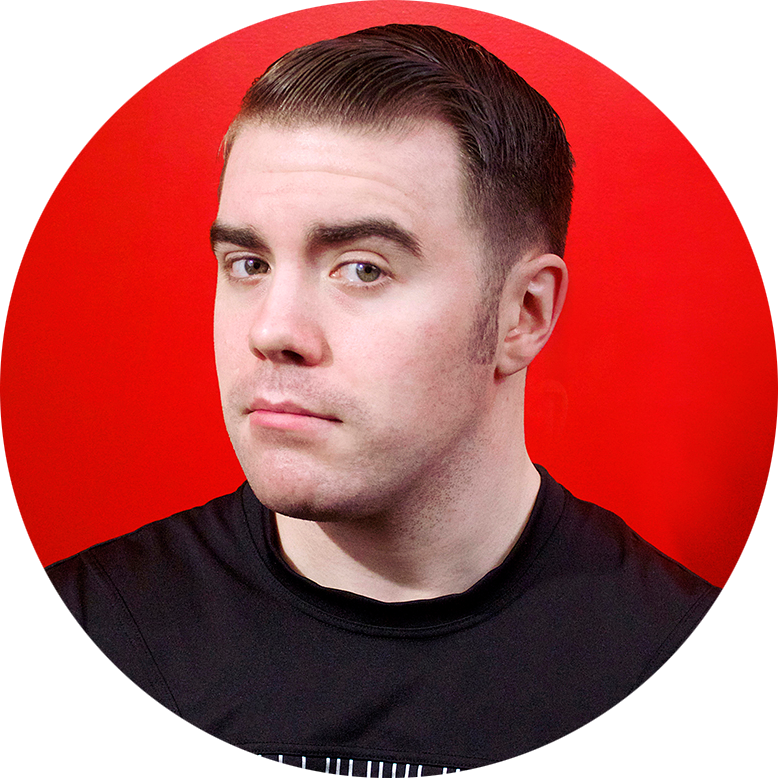 The project comes from Seattle and is led by Jasyn Bangert. They have a busy schedule beyond Aftermath, including the Dark Munich Festival and Wave Gotik Treffen. With a large and growing crowd as early as 8:30PM and a series of great performances, those gathered were definitely warmed up for the rest of the Aftermath Festival. See more photos from this event at www.flickr.com/photos/dylerpillar.